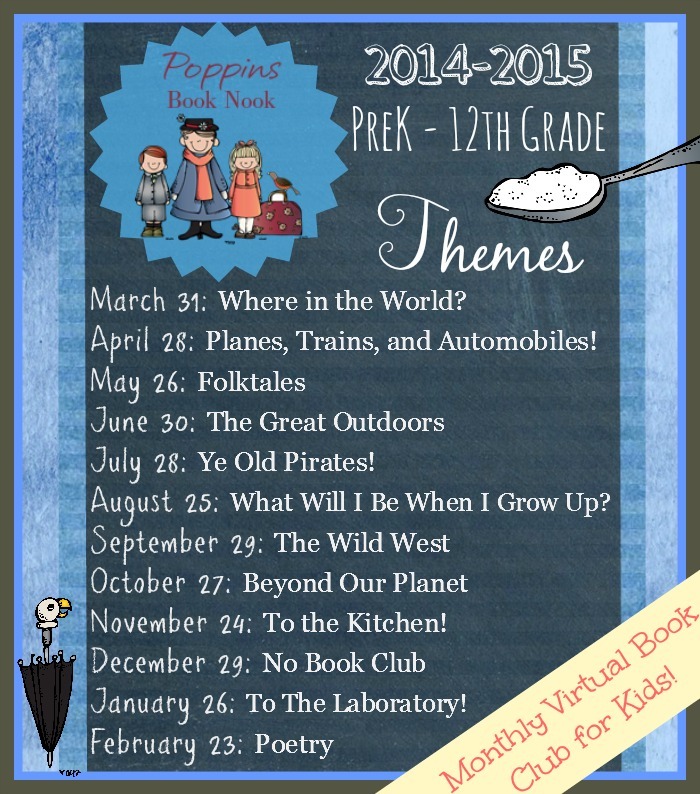 I’m excited about this the Wild West theme this month for the Poppins Book Nook. There are so many different books to explore about it. I know that you can always find something fun and interesting to read about the Wild West. I know that I will have a hard time picking a book about it. I know my girls just love the book: Ghost Town at Sundown (Magic Tree House) . So we might do that one, but we shall have to see. I really do love this book: How I Spent My Summer Vacation (Dragonfly Books) . It may not be the wild west but it is about cowboys. My girls really enjoy that book. There are so many books to explore! Plus it is a great time in history to learn about the expansion of the west and the people that lived there! My family traveled west and settled there. It makes this theme fun for my girls and I. Here are some books we will be check out this month, Yes there are some older books in here. 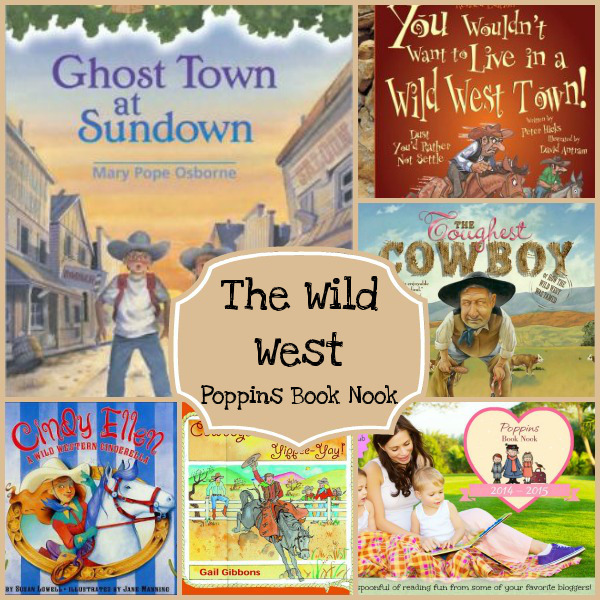 Pick your favorite The Wild West (or a new one you want to check out) and read it with your child or class. 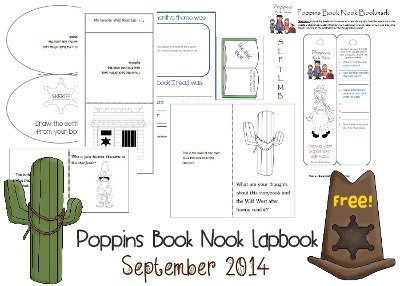 Come back and share it with us as part of a big The Wild West blog hop on Monday, September 29th! The linky will be live for 3 weeks, so if you aren’t ready to post on the 29th… just join in when you can! August’s theme is What Will I Be When I Grow Up? :Whose Tools Are These: Exploring Community Helps Tools. September’s theme is The Wild West. (September 29th is the link up). 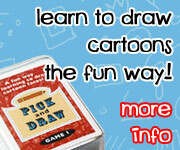 I hope that you can join up with us! I love looking at all the different ideas! And like me this month find a new book to possibly fall in love with! Do you have a favorite Wild West? If so comment and let me know! This entry was posted in reading and books and tagged book club, PoppinsBookNook, wild west. Bookmark the permalink.